Thanks to both director Taika Waititi and star Mark Ruffalo doing press for their new movies, we've gotten a lot of interesting details regarding Thor: Ragnarok as of late. While promoting the Oscar-nominated Spotlight, Mark Ruffalo once again shot down rumors of a stand alone Hulk movie in an interview with Yahoo! Movies. However, he did tease that his story arc in Thor: Ragnarok will "feel" like its own movie, and that it connects to the upcoming two-part adventure Avengers: Infinity War Part I and Avengers: Infinity War - Part II. 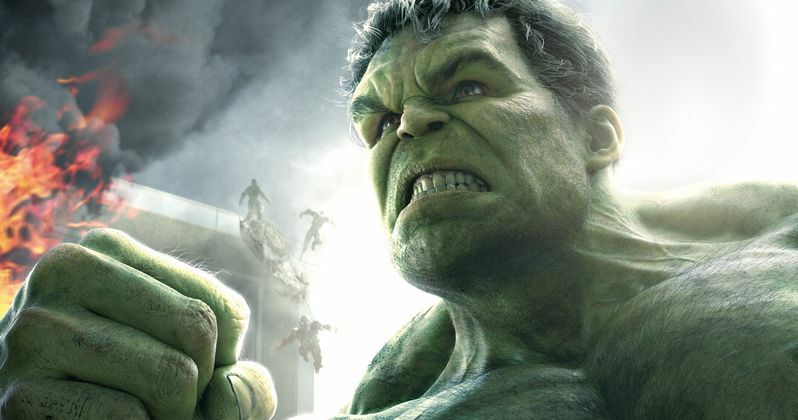 "I'd love to do a Hulk movie, but that's beyond my control. It's controlled by Universal. Marvel doesn't even hold the rights to it. So, it's not on the horizon. And I don't know if it will be. But we've worked a really interesting arc into Thor 3, Avengers 3 and Avengers 4 for Banner that I think will - when it's all added up - will feel like a Hulk movie, a standalone movie." When Mark Ruffalo's Hulk was confirmed to appear in Thor Ragnarok, it was revealed that both Hulk and Thor (Chris Hemsworth) will be going on a "universal road trip." While no story details have been confirmed, a new rumor surfaced earlier this month that claimed the new villain Hela, rumored to be played by Cate Blanchett, banishes Thor from Asgard after teaming up with Loki. Thor is sent to a mysterious planet where he is forced into gladiator-style combat with the planet's champion, Hulk. Taika Waititi, best known for comedies such as last year's What We Do in the Shadows, has signed on to direct Thor: Ragnarok, with writer Stephany Folsom coming aboard to rewrite the script. The earlier version written by Christopher Yost and Craig Kyle was originally said to be the darkest Marvel movie yet, but both Taika Waititi and Stephany Folsom were reportedly brought in to inject more humor into the story. The director recently spoke with Collider at Sundance, where he revealed that he hopes to bring his style of humor to this apocalyptic movie, while adding there is plenty of levity in the MCU to build off of and teasing that the studio's story structure isn't as rigid as some would believe. "I love that one moment in Marvel's The Avengers when Hulk grabs Loki and rag dolls him. It lends itself to great humor, do you read those comic books? They're wacky. They're crazy. I think that's exactly what they need, to keep changing it up. They've got their dark films, some are more serious, and I think it's great that they're mixing it up. I really want to inject my style of humor into this. I've learned that there are really no rules. There's no road map. They're very similar to Pixar in that way. They are constantly looking for the best story, they'll tear everything down to rebuild it to make sure they have the best story. That's why Marvel is good they keep pushing and pushing and trying to get the best thing possible. That's what I've discovered the way things have changed." The studio's massive Phase Three lineup also marks the first time that filmmaker Joss Whedon won't be involved in the MCU. The filmmaker announced after last summer's Avengers: Age of Ultron that he is stepping away from this superhero universe to create his own new movies. Mark Ruffalo revealed how he felt when the filmmaker told him he was leaving, and that he thinks the future of the MCU is in very good hands. "He basically told me [he was leaving], and I was like 'Goddamn it, you dragged me in to this world and now you're abandoning me here!' But they're doing fine. Joss'll do fine. I just miss him, and I will miss him. He cracked this character, he obviously cracked the Avengers which was nearly impossible. It was a miracle and he did it so beautifully. I think the Russo brothers are great and I think they're well positioned to take it on, and I'm happy to be doing it with them, but I'm friends with Joss. He had a hard time making the first one and he had a hard time making this one. I think it's partially the nature of that beast." Thor: Ragnarok will start shooting this summer in Australia, with Avengers: Infinity War Part I and Avengers: Infinity War - Part II set to shoot back-to-back over a nine-month shoot, starting at the end of 2016. Are you excited to learn more about Hulk's story line in Thor: Ragnarok? It seems this will be the closest fans will get to a stand alone Hulk movie, so be sure to stay tuned for more details.